Culligan Water Filtration of New England is the only water treatment company in the New England Area offering the most affordable and effective water softening solutions with excellent warranties and our 100% satisfaction guarantee! Most importantly, every Culligan water softener comes with a Culligan Man so whether you need service, salt delivery, or help moving your softener from your old home to your new home, we’ll be here to help. We’ve lived and worked in this community since 1992 and we’re here to stay. Takes care of the brown and green stains. Water is softer and not as hard. We have been very happy with the response and service. They are always here promptly and very informative about [what] they did before departure. They are reputable, dependable, and saves in future repair cost in pipes. Takes care of the brown and green stains. Water is softer and not as hard. We have been very happy with the response and service. They are always here promptly and very informative about [what] they did before departure. They are reputable, dependable, and saves in future repair cost in pipes. They have been a good investment for us. I was pleased the sales rep was able to address my needs with drinking water and was able to work in my budget. I am very pleased with the taste of my drinking water now. The best part is the fact that it so easy to change they send me the filter and it's then changed in minutes. 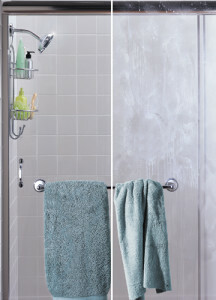 There is no longer white residue on our showers or shower doors. The chlorine taste and odor has gone away. The water feels so smooth on the skin now too. My service experience has only been prompt, courteous, and always thorough. The service costs are very reasonable as well. We would definitely recommend Culligan to friends and family because they supply high quality products as well as high quality service. We had occasion to request a service call last month and we just wanted to let you know what an asset your employee Max Walton is to your organization. He is is extremely polite and caring in addition to being very knowledgable. We have been delighted with our water softening system since his visit. He is is extremely polite and caring in addition to being very knowledgable. We have been delighted with our water softening system since his visit. In addition, he gave us his business card so that we could contact him with any questions or issues. He is a breath of fresh air in a very often uncaring society. We used to buy bottle water by the case. Now we have a constant supply of great pure water that we use for all of our consumption along with our pets. The water tastes better than what we were buying before with a lot less hassle. The service we received has been top notch. We used to buy bottle water by the case. Now we have a constant supply of great pure water that we use for all of our consumption along with our pets. The water tastes better than what we were buying before with a lot less hassle. The service we received has been top notch. The tech is always on time and answers all of our questions on the system and what he actually does. We have recommended Culligan to friends and family because we know Culligan provides a superior product that is backed by great service. We trust the Culligan name and believe more should know it.